We are honored and thrilled to have won the Top Company award at the 31st Annual 2018 Colorado Biz Awards! "The granddaddy of this year’s Top Company winners, the well-known firm was founded 118 years ago when William Johnson converted his South Broadway blacksmith and wagon-building shop to a moving business. Johnson Storage & Moving, which has 10 offices in seven states, has added 200 employees, six acquisitions and three new businesses since 2012. 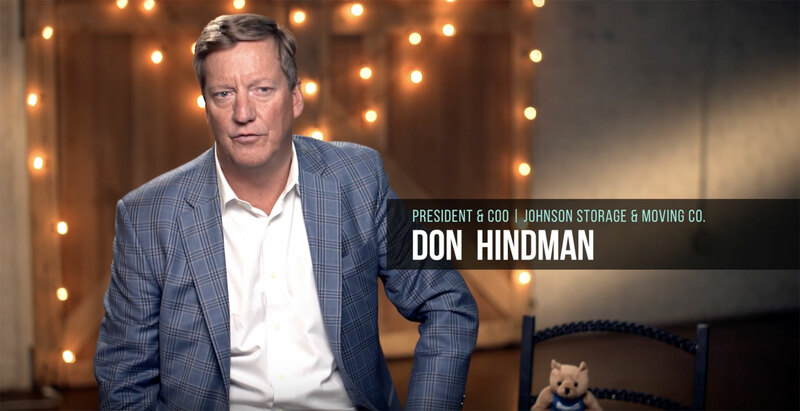 Revenues have quadrupled in the past six years, Hindman says, and the moving conglomerate operates a $30 million international arm, Johnson Logistics. The company’s 550 full-time associates manage 400,000 square feet of warehouse space and more than 200 trucks. The business provides relocation solutions for more than 10,000 customers each year. Employees are incentivized to practice “boundarylessness” to go above and beyond in serving customers. One of the newest ventures is a hospitality furniture business that manages supply chains, warehousing, delivery and assembly of furniture, fixtures and equipment for hotels, restaurants and hospitals. The company helped raise more than $1 million in the past six years for nonprofits assisting people with disabilities and autism. The firm employs a crew of eight high-functioning autistic adults who maintain facilities in Colorado."